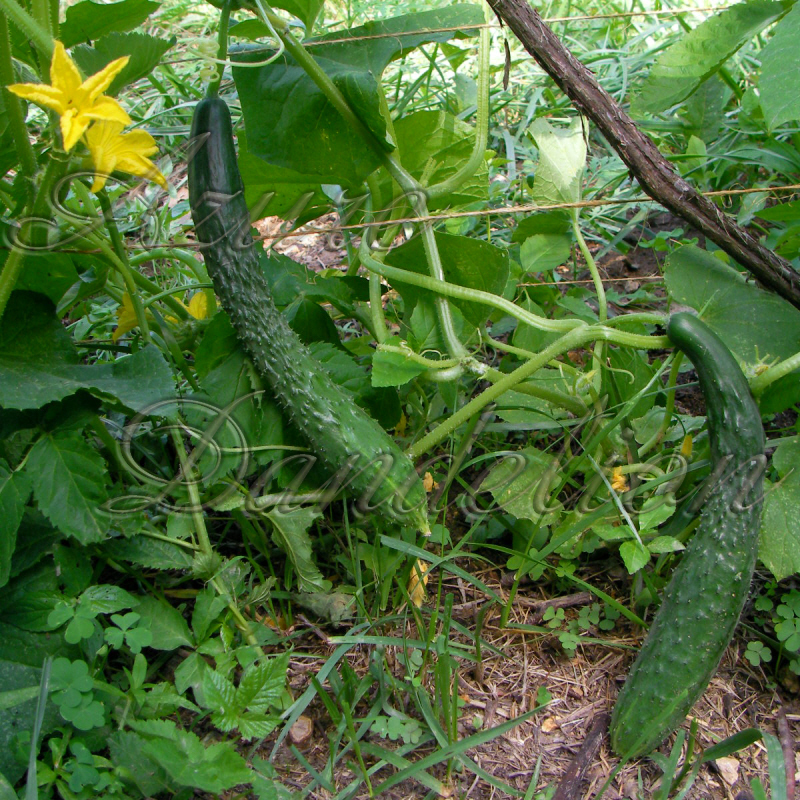 The Japanese Long Cucumber are doing great. We planted these under one of our rows of grapevine. With a little coaxing they trellised themselves up the grapevines and the wire that was there for the grapes. We added a couple of horizontal lines of twine to give them more to climb up. This Heirloom Cucumber is very crisp and mild, easy to digest, with a minimum of burpiness 😀 Produces an abundance of very long slim fruit. It is a great choice for market growers. 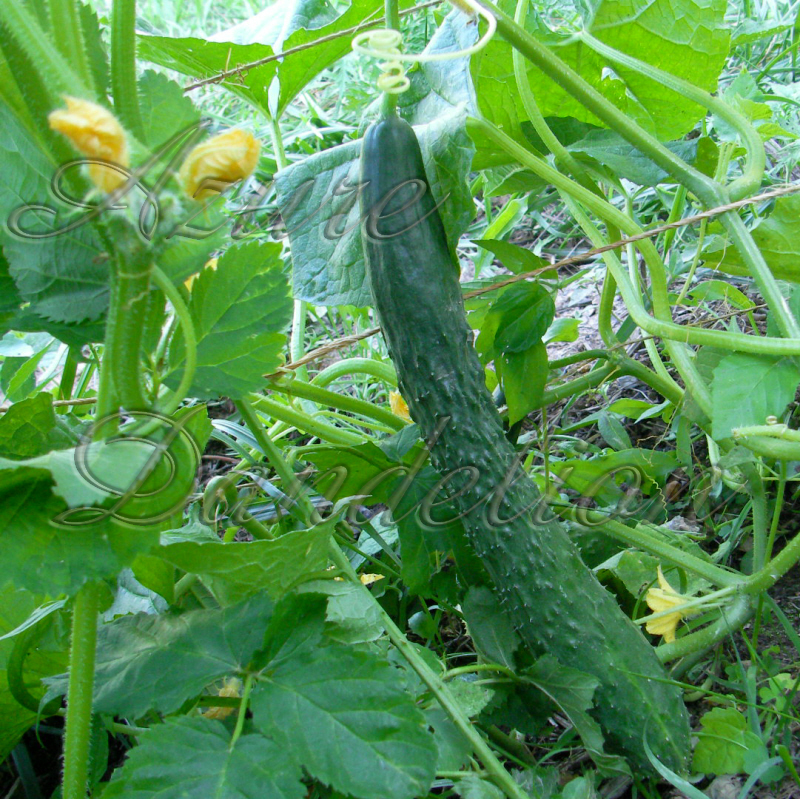 Grow your own Japanese Long Cucumber with Heirloom seeds from AzureDandelion.com.